Confucius said that. I agree with him. I love to travel…near, far, new, old. It is something I grew up doing and have continued to do as an adult. I love places that are out of the way as well as places everyone thinks are must sees. As long as I have a camera to capture the beauty, the raw intensity, the peacefulness, the heart of the place I’m visiting, I am happy. Here is a post I wrote back in 2008. I was reminded of it tonight and wanted to share. Click on the pictures to enlarge them…you won’t regret it! My favorite place in Istanbul. 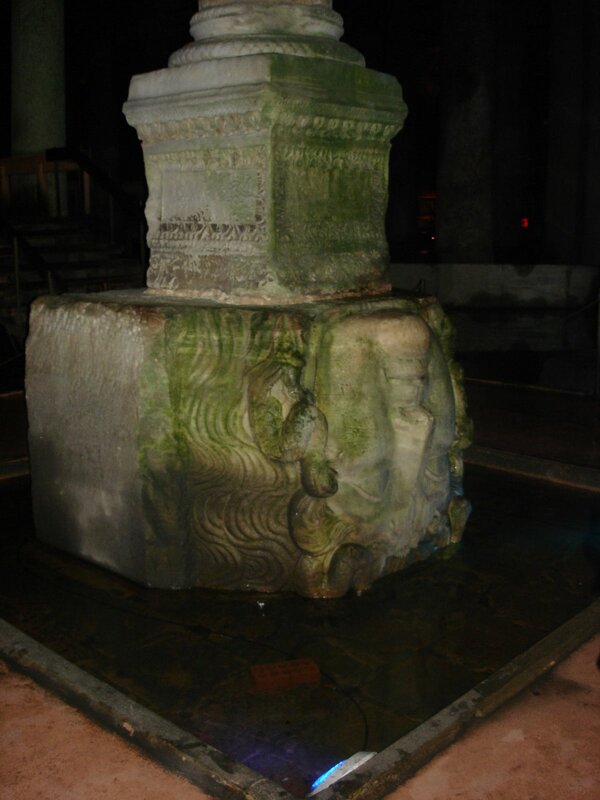 Yerebatan…the cisterns in Sultanahmet. Here is a brief description and then a few pictures. Yerebatan is a Byzantine cistern (underground water storage place) dating back to the 6th century. This cistern has fine brick vaulting supported by 336 Corinthian columns. 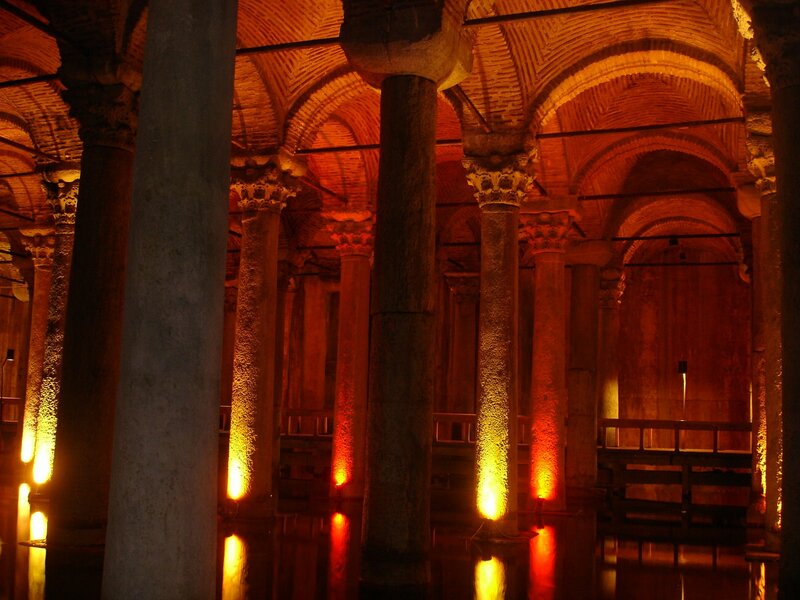 It is the largest covered cistern in Istanbul, dating back to the Roman times. It’s dimensions are 140 by 70 meters, and it is capable of holding 80,000 cubic meters of water. 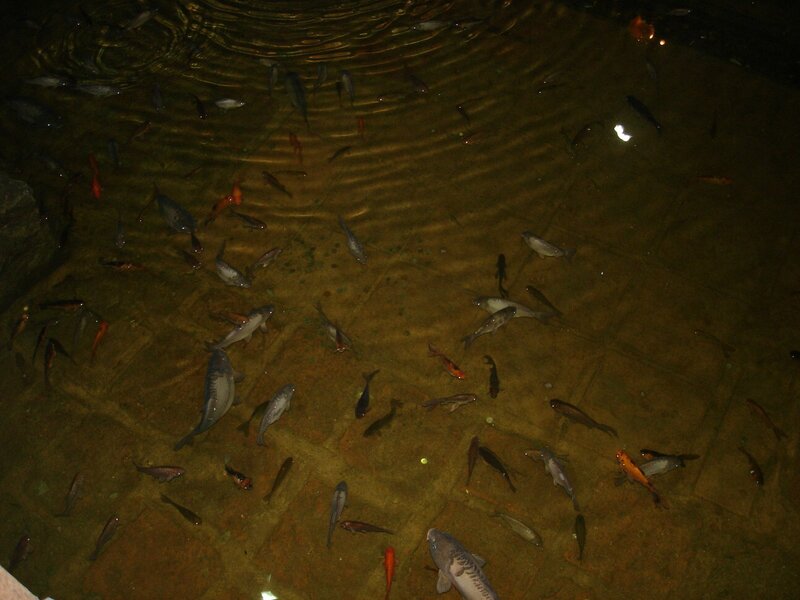 The Basilica Cistern was actually the reservoir for the prodigious quantity of water required for the Byzantine Great Palace, and it is thought to date back to the reign of Justinian in 532. Today it is virtually empty; only a couple of feet of water line the bottom. Wooden walkways have been constructed for visitors. Isn’t this beautiful? It is quiet and peaceful…and I just love it. Most of the columns are just plain marble ones. 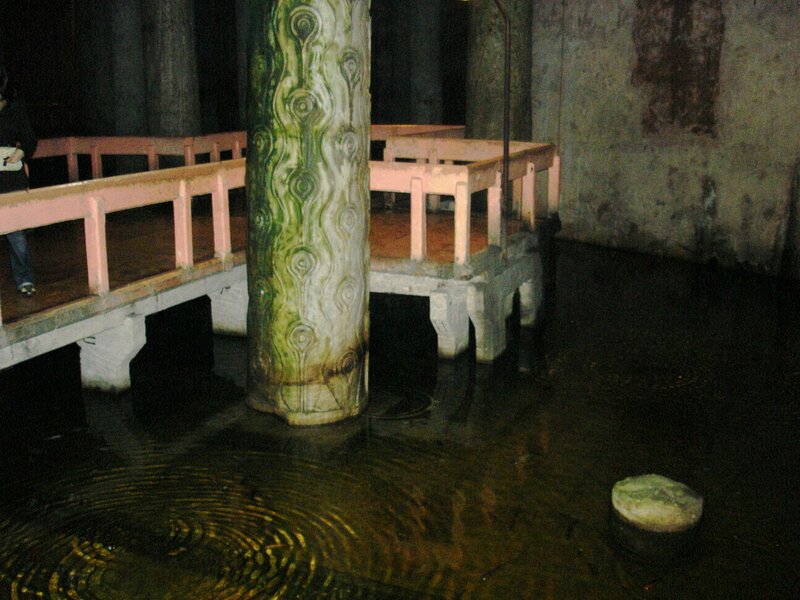 One of three different columns in the cisterns. 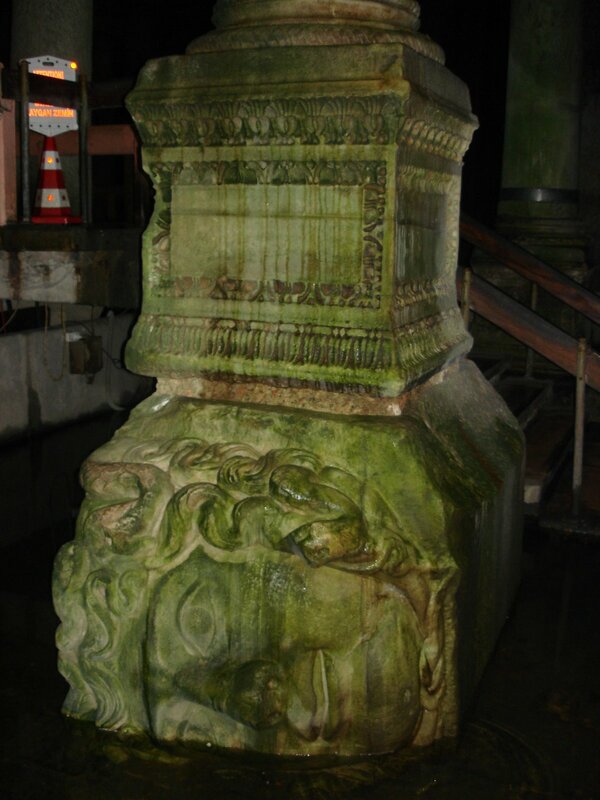 The base of this column is a Medusa head. The builders of the cisterns used whatever kinds of materials they found and often times that meant pieces from other ruins. 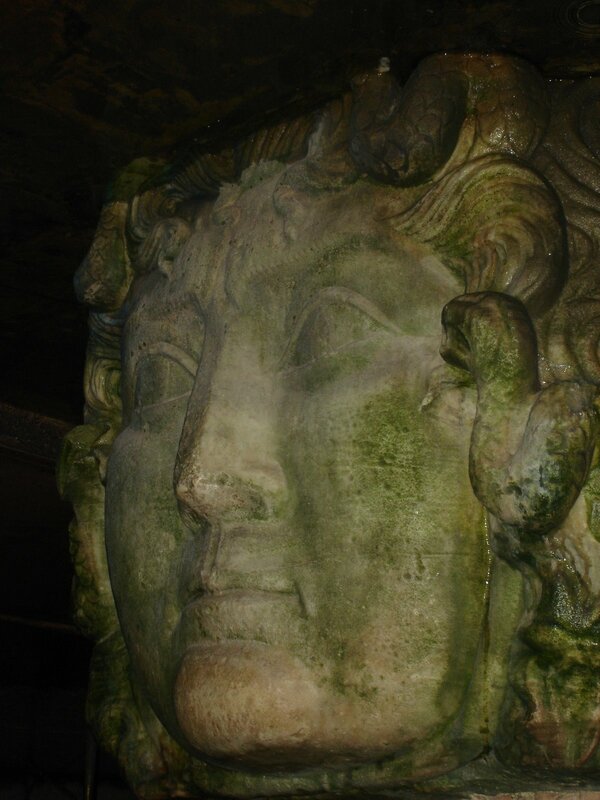 This Medusa head was probably originally on top of something. Now it is used as a base for a column. A picture of the head right side up. 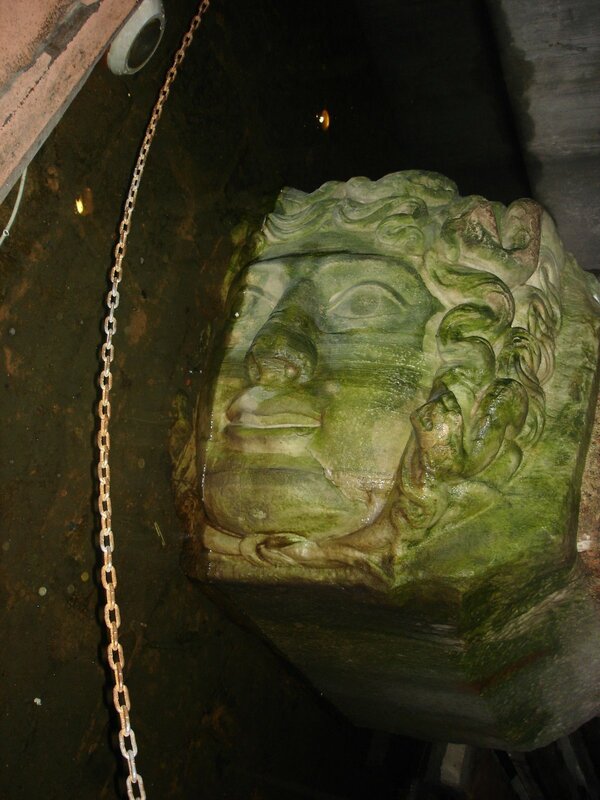 Another Medusa head used to support a column. And here it is right side up. They were used at the base of the columns and turned sideways and upside down to show disrespect. I have heard so many people say that the cisterns aren’t a big deal, but I would visit them every time I went to Istanbul if I could. The fact that this place has been around for 1500 years is amazing to me. Amazing.